Note that this promotion has been extended until March 31, 2014. 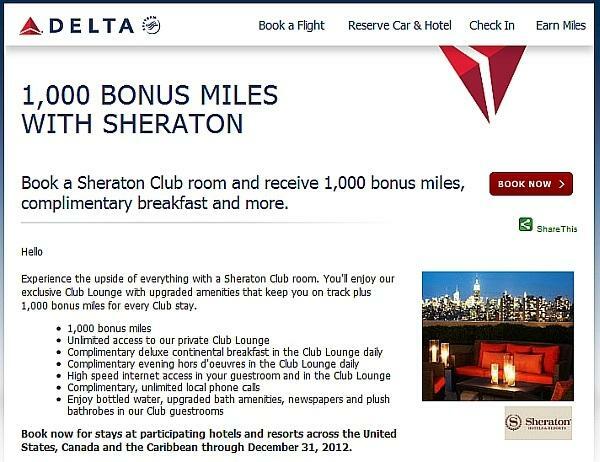 Just received an email from Delta about an offer from Starwood for 1000 extra miles for booking Sheraton Club accommodations in select Sheraton hotels in the United States and Canada. This offer is valid for US Airways Dividend Miles as well. In order to get the bonus miles, your Starwood Preferred Guest account must be set for airline direct deposit and you need to book the rate code SHMILES. This offer is valid from April 16th to December 31st, 2012. You can earn the bonus miles only once per stay. There is a separate offer of 1000 bonus Starpoints per stay until the end of May for Sheraton Club bookings. 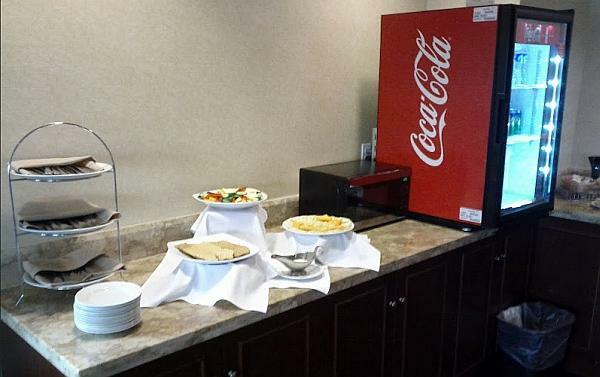 Domestic Sheraton lounges in the United States and Canada are rarely worth my time. International ones outside of the North America are entirely different animal, however. Some of them are actually nice and offer food & beverage amenities to look for, but not the one at the Sheraton Heathrow. Here’s an example from Sheraton Garden Grove last year. This was their evening hors d’oeuvres. The deluxe continental breakfast was about same quality. Would you actually pay more if they are offering crap like this? Of course, I paid the lowest rate for the night, which was probably around $100, and got an upgrade as a SPG PLT member. 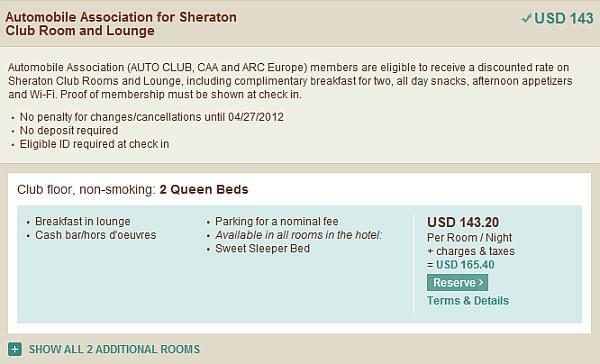 Out of curiosity I run the different rate codes for the Sheraton Garden Grove for the night of April 27. As is often the case with special rate plans that offer some extra points or miles, the rate is widely inflated. The only reason why hotels keep offering these rates are business travelers that can book inflated rates, and earn some extra points along the way.